We know that HMD Global bought the PureView trademark back in August, but we had no idea the Finnish company will actually use it in the name of one of its upcoming smartphones. While the information hasn't been truly confirmed yet, a reliable source claims the name of the next HMD's flagship will be Nokia 9 PureView. Obviously, such a name suggests that the Nokia 9 PureView will come with some amazing camera features that made the brand popular among smartphone users several years ago. From what information we've been able to gather until now, the Nokia 9 shapes up to be a true successor to the Nokia 808 PureView, the first smartphone to embed the oversampling technology behind the name. 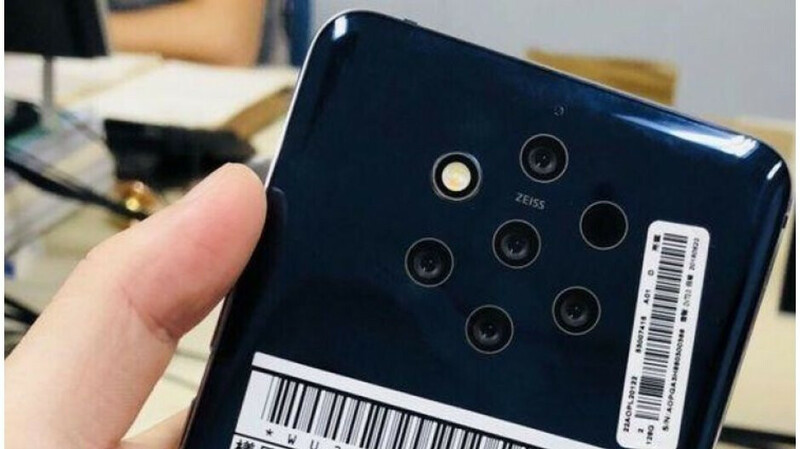 If you've read about the rumored Nokia 9, then you already know the smartphone is expected to boast no less than five rear cameras. Just like the Nokia 808 PureView, the upcoming flagship will feature Zeiss lens, although that's all we know so far. Unfortunately, we'll probably have to wait until next year for the Nokia 9 PureView, at least according to the latest reports. Even so, that's one phone that we're really excited about. Excited for this! I’m a fan of Nokia branded smartphones by HMD, so I definitely have high hopes for the Nokia 9 Pureview. There should be some amazing camera tech involved with the Pureview name attached to it. Make it a beast, and make those five cameras innovative and feature rich, HMD. I’m patiently waiting. Can't be a true 808 replacement due to not having Xenon flash and a shutter button. I find it interesting that Roland Q. believes that the Nokia 9 Pureview will be release this year as opposed to next year: https://imgur.com/a/yMR7eEG I wonder what he really knows about it. Smh, I still can't get past that ridiculous camera setup. Instead of just throwing more and see what sticks, why not just focus on fixing the software or improving the hardware? This is why the Pixel phones set the bar for great cameras. I’m curious as to what makes you think that they are “just throwing more and see what sticks”, as opposed to providing something new and innovative, especially when the industry has been going the way of multiple cameras on the back (and front) for a while now. And the P20/P20 Pro have set a new bar for great cameras. You just disagreed just because I said it. Multiple cameras is one thing, but this is just ridiculous looking on another level. A well thought out and more factual response than the other one. I can see where you are going with the differentiation and trying to stand out, but that's what they said about the notch and when Apple decided to take the lead and remove the headphone jack. It may gain attention, but it could also attract the wrong attention. I disagreed with you because it’s a fact, and I provided proof as to why I disagree with you. You accepting those is of absolutely no concern to me. You didn't provide anything other than your usual rhetoric. You mistake poop for proof. As usual, you project your shtty troll comments onto me. Not my fault if your usual rhetoric is devoid of any semblance of proof. Poop isn't proof. “Proop” is something that you’ve continued to spew pretended as you continue to regurgitate the same ill-informed nonsense for 10 accounts now. More cameras allows you better low light photography, lossless 2x,3x,even 5x zoom, better monochrome photos, wide angle photos, better AR,better bokeh and so on, Improving software is good but benefits of having more lens is something that software optimization can't give you. Btw according to some rumors, pixel 3 is also having dual cameras. Not at the rear but at the front. Yeah, but that setup is pushing it. It's ridiculous looking. There's a reason why the Pixel phones have the best cameras, and it's not just because of hardware. Exactly. Why not push the boundaries if it works? Isn’t that what tech advancement is all about? Hardware can provide things that the software doesn’t allow for, and that’s one of the reasons why the P20/P20 Pro have beaten the Pixels. So has the S9+. Who said anything about not pushing boundaries? May I remind you that this is my "opinion." Calm down, take a sip of beer, and chill out. Lol, calm down and stop being so defensive and triggered about a commet that's not even aimed at you. It's you that needs to be reminded that what you are saying is an opinion, and not the be all, end all. I think you need to take your own advice because what you just spewed up above definitely applies to you. I think you just had another “pot, meet kettle” moment. Improving the hardware? Your precious Pixel cameras can't lick the sweat off a PureView's balls. A 10-year old Nokia 808 blows your Pixel to smithereens, not to mention what a Lumia PureView can do. Don't take my word for it. Just look on the internet. Where is the Pureview at now? My point exactly. I'm not trying to take away from Nokia, but the fact is that the Pixel phones are still available. The Pureview and the 808 are not. Excerpt Pureview is about to be available again, while the Pixels not only are some of the buggiest smartphones around, but thanks to the Pixel 3XL, Pixels now have the dishonor of having the ugliest smartphone in modern history. May be available. It keeps getting delayed and nothing but rumors and speculation are all that's known about the device. No, ugly is a ridiculous five camera setup. They've literally shown the phone in leaks, so how is that rumors and speculation? And it's about to be available, no "may be" about it. And ugly is that horrendous looking Pixel 3XL. But don't let any of these facts spoil your fiction. Do carry on. BOOM. Facts on facts on facts. Something you seem to not know about. Here you go with another “pot, meet kettle” moment after being schooled with the facts.